Dr. Jan Linhart, Dr. Zachary E. Linhart, and the entire team at Linhart Dentistry strive to create beautiful, healthy smiles. 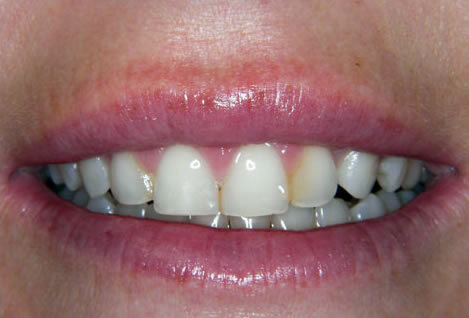 These Before and After photographs demonstrate how weathered, discolored, crooked, or broken teeth, are never, ever a lost cause. Any smile can be rejuvenated; any smile can be both stunning and natural. 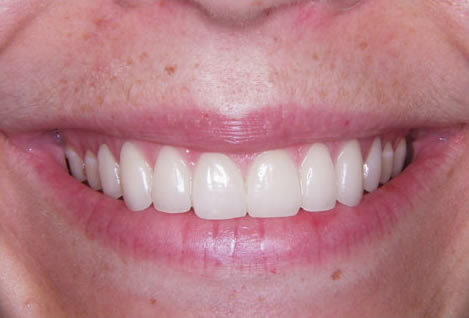 Depending on individual preferences and diagnoses, we use Porcelain Veneers, Dental Implants, or Crowns and Bridges to accomplish a desired outcome. 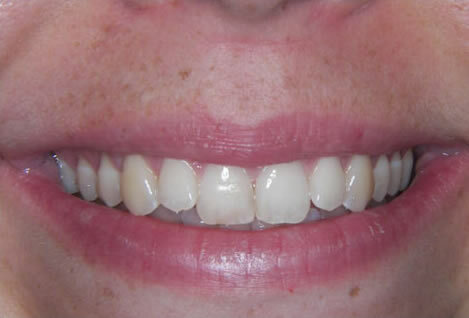 Click on the images for a closer view, and a description of the cosmetic and restorative work that has been performed on each patient. 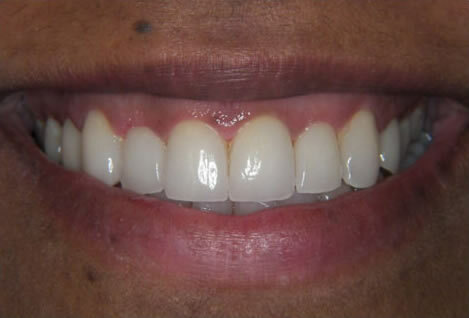 Patient TW had been a patient in our office for years when he came in stating he wanted to do something about his chipped, dark, and crooked teeth. 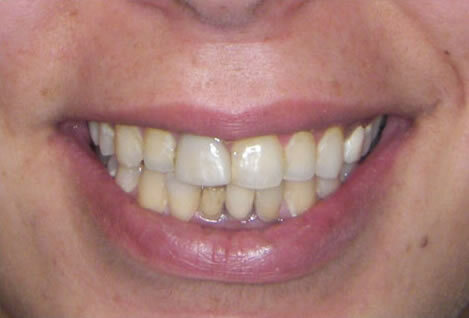 10 upper and 10 lower porcelain laminate veneers were done, as well as porcelain fused to metal crowns on multiple posterior teeth. 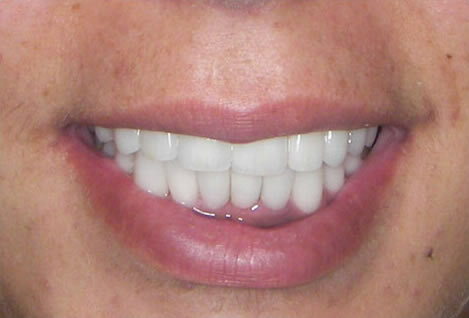 The end result is a natural white smile that restored TW’s teeth to their original, beautiful luster! 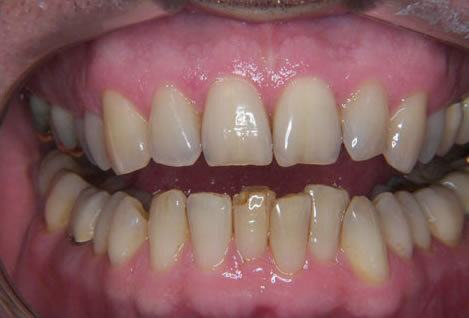 This patient presented to our office in midtown Manhattan with an old bonding on #7 (right lateral tooth, blotchy teeth, as well as with her teeth all going in different directions. 8 porcelain laminate veneers were done to whiten her teeth, make the color more uniform, and to align the teeth in a proper arch form. 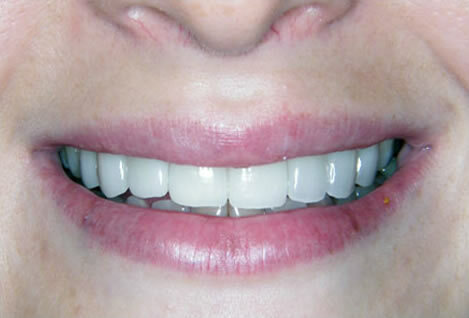 In addition, our Biolase laser was used to bring the gums up above her teeth to reduce the gumminess of her smile. This is especially noticeable on #7 (right lateral tooth) where the gums were very low on the tooth. She was ecstatic with the result! 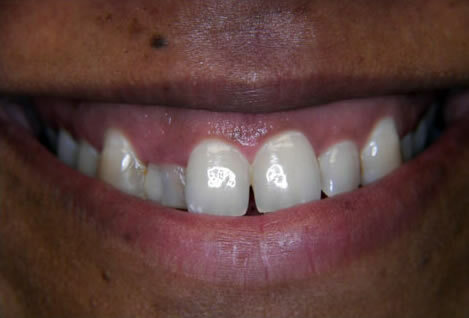 This longstanding patient of ours had significant erosion of her teeth from a habit of lemon-sucking. 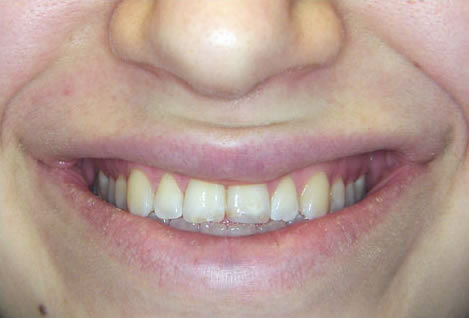 In addition, the midline of her top teeth was shifter to her right, creating a tilted smile with short teeth. 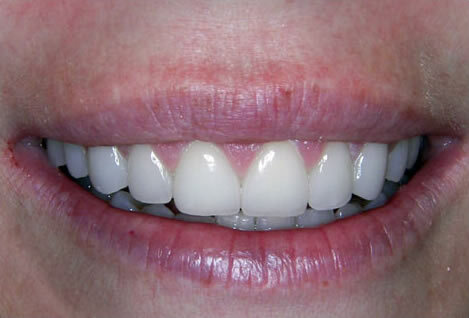 After a diagnostic waxup was done by our lab technician who we have worked with for over 30 years, 10 upper porcelain veneers were placed. 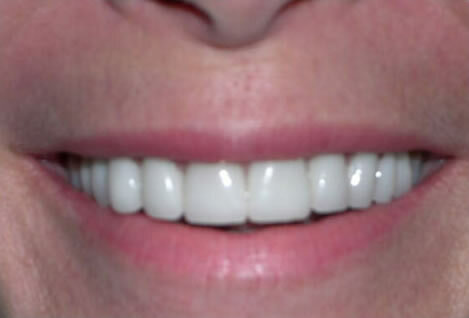 The end result was pearly white, straight teeth in proper alignment that the patient can enjoy for decades to come! This young lady had already had multiple consultations before coming to our office. After viewing photographs and discussing the treatment with Dr. Linhart, the patient decided to continue the case in our office. 10 porcelain laminates were done on her top teeth, they are significantly whiter and more brilliant than her previous teeth. In addition, the smile was broadened as to fill the significant dead space she had because of the retro-inclination of her natural teeth. 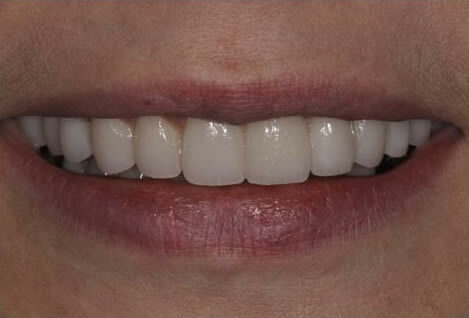 The result was spectacular and the patient was thrilled she had her cosmetic work done with Dr. Linhart! This patient presented with an open bite due to thumb sucking as a child. The patient’s front teeth did not touch by about 3mm when she bit all the way down. 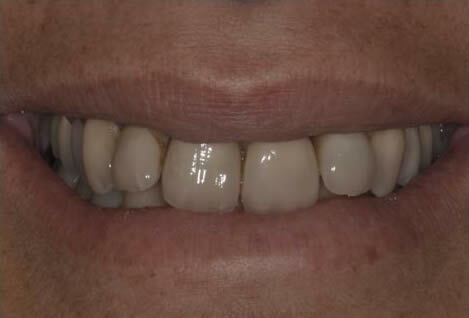 In order to correct this, 10 upper and 10 lower porcelain veneers were done. The only other option to close this open bit would have been orthognathic surgery which involves breaking the jawbone. 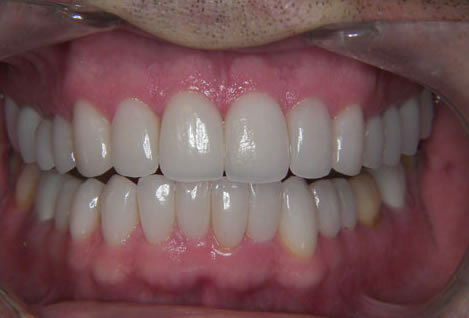 Needless to say the patient opted for the veneers! 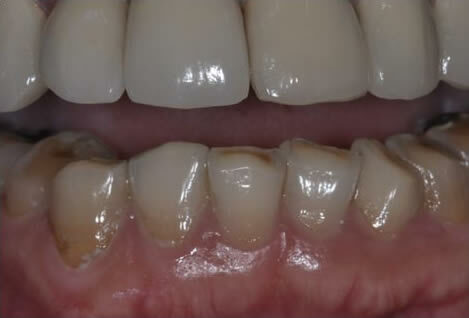 This young lady presented after having 4 years of orthodontics (braces) in a different office without success. After a consultation with our in house orthodontist Dr. Ro, and Dr. Linhart, it was decided that porcelain veneers would be a better option than more braces. 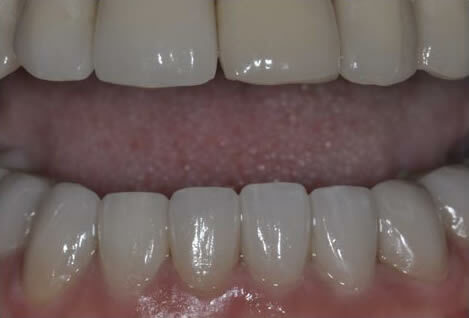 20 porcelain veneers were placed, 10 on the upper and 10 on the lower, and these achieved straight, white, beautiful teeth, in only a few days! 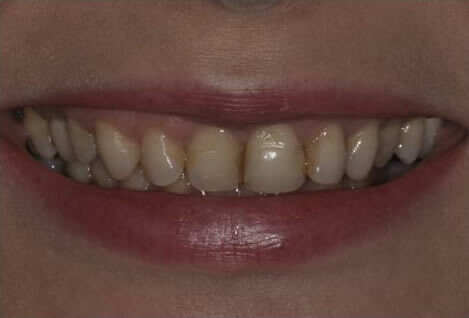 This patient had been coming to us for many years when she decided she wanted to refresh her smile. 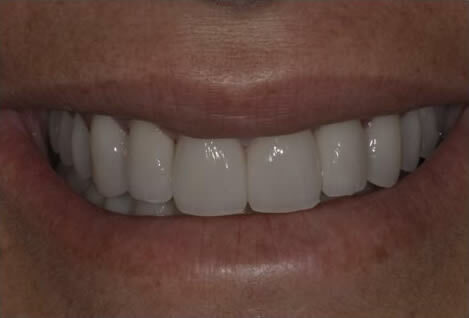 20 porcelain laminate veneers were done, 10 upper and 10 lower. 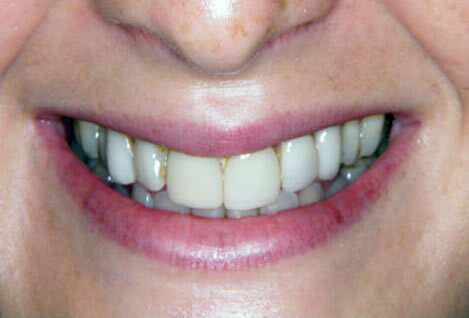 Her natural teeth were yellow and discolored, as well as being misaligned especially on the bottom. 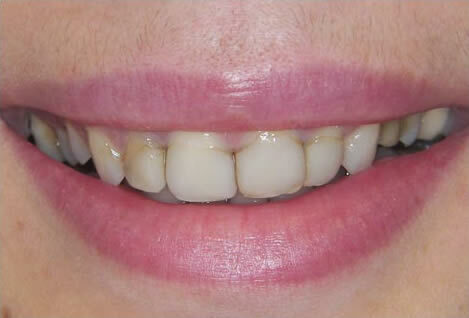 In a week, the veneers were completed giving her whiter, brighter, and straighter teeth, she was thrilled! 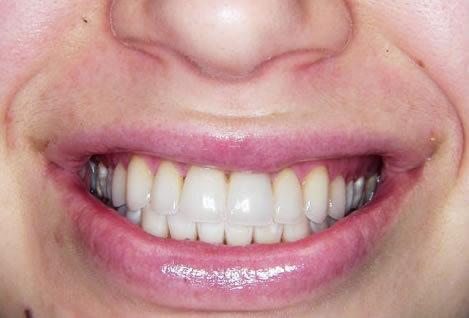 This patient, although her teeth are not bad to begin with, wanted a whiter, nicer smile. 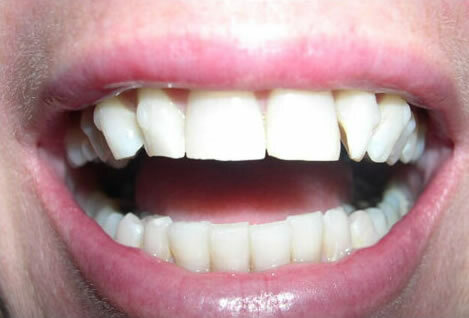 Her teeth had worn over the years leaving them with jagged edges and teeth that were not outstanding. 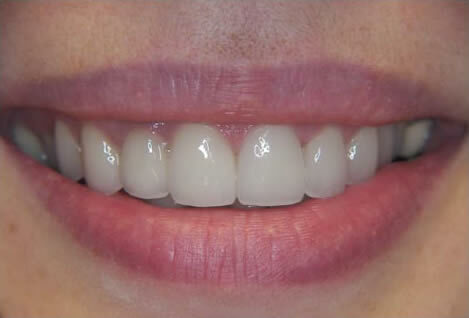 8 porcelain veneers were done on her upper teeth to broaden her smile, whiten the teeth, and restore their shape to a youthful smile that she dreamed of! © Copyright 2017 Linhart Dentistry. All Right reserved.